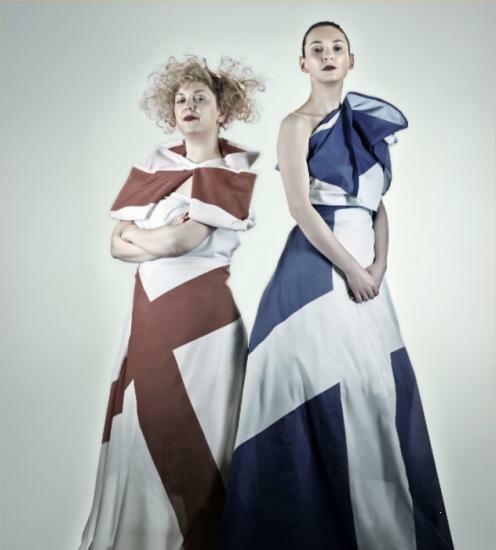 The National Theatre Ensemble comes to Strathy Hall on 12 May and Wick Assembly Rooms on 14 May for two professional shows, Dennis Kelly's 'Our Teacher is a Troll' and Liz Lochhead's 'Mary Queen of Scots Got Her Head Chopped Off'. Area Cultural Officer, Adrian Clark, said: "I am really excited about this visit, which is in addition to the National Theatre's Transform project just starting up in Thurso. The Ensemble company bring all their own staging and seating and create an intimate theatre environment. The drawback is the reduction in available seating, so early booking is advised. He added: "Liz Lochhead's Mary Queen of Scots Got Her Head Chopped Off has been a great success over the years. This in-the-round production, directed by Alison Peebles is garnering excellent reviews"
"Once upon a time, there were twa queens on the wan green island, and the wan green island was split inty twa kingdoms." So La Corbie, the trickster prophet turns the wheel of fortune and plunges us into the 'whispers rumours, souchs and chatters' at the heart of this story of two of history's most intriguing women - Mary, Queen of Scots, and her cousin and fellow ruler, Elizabeth I of England. Mary and Elizabeth, two women with much in common, but more that set them apart. In the morning older pupils from Hillhead Primary, South Primary and Pulteneytown Academy will the opportunity of a marvellous theatrical experience when the NToS Ensemble presents Dennis Kelly's 'Our Teacher is a Troll.' Pupils from Melvich and Farr Primaries will be attending the Strathy performance. This show, directed by Joe Douglas, about two naughty pupils and the surprising new teacher features a very scary troll - the children have been warned! The Ensemble team will be running related workshops in the schools. Adrian Clark added: "It is good to see the National Theatre making themselves felt in the far north."